As we approach year-end, general managers and department executives across the world are in the throes of 2017 performance evaluation and 2018 strategic planning. Among their functional peers in sales, finance, operations, and human resources, senior marketing managers have unique challenges when it comes to measuring performance and justifying budget increases. To wit: senior executive – CEOs, CFOs and line of business GMs – expectations of marketing operations have never been greater. Indeed, one study revealed that “80% of CEOs don’t trust or are unimpressed with their CMOs”. 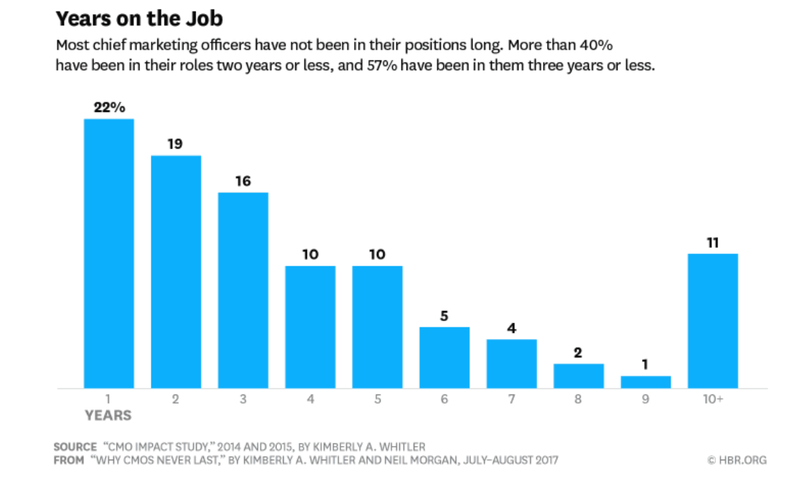 So it comes as little surprise that more than half of CMOs have been in their jobs for three years or fewer. Indeed, it’s a constant struggle for marketing leaders to find solid footing amidst the shifting sands of digital enablement, big data, and artificial intelligence. After more than a decade of absorbing aggressive overtures from the internet giants, martech companies, and digital media concerns, the most senior executives have continued to approve bigger marketing budgets. Today, the marketing line item now accounts for more than 10% of revenues at some of the world’s largest companies, and CMOs are experiencing unprecedented pressure to justify continued investments and budget increases. At the end of the day, it’s the marketing team’s job to deliver on two primary tasks, and defining and promoting the corporate brand is one of them (demand generation is the other). For companies like Coca-Cola, McDonald’s, and GEICO, brand management is the driving force of the business, and referenced in every strategic planning discussion. For the rest of us marketers, brand awareness is regarded as a ‘soft’ metric by the senior executives we report to. So it’s up to us to create a measurement strategy and educate the company on its importance. A digital-first approach – website analytics, social media listening, and competitive benchmarking – is the fastest way to measuring a brand’s relative share of voice and level of engagement with target audiences. The world’s largest brands invest heavily in monitoring their brand’s effectiveness through surveys, focus groups, and consumer recall. However, most companies can get a firm handle on a brand’s impact using solely internet-based techniques, and a digital marketing audit is a great way to initiate the effort. 2. Demand Generation & Capture. From toothbrushes to jet engines, marketplace demand needs to be both generated and corralled, and it’s the marketing group’s responsibility deliver on this task. Some products, such as car insurance or residential real estate, are ‘bought.’ Thus, marketers in these segments are mainly focused on being in front of the prospective buyer with effective messaging throughout the sales cycle. In categories where items are ‘sold’ – think automobiles, pharmaceuticals, and enterprise software – marketers need to first educate prospective buyers about the need (perceived or otherwise) for their products, and then convince the prospect of their superior offering. 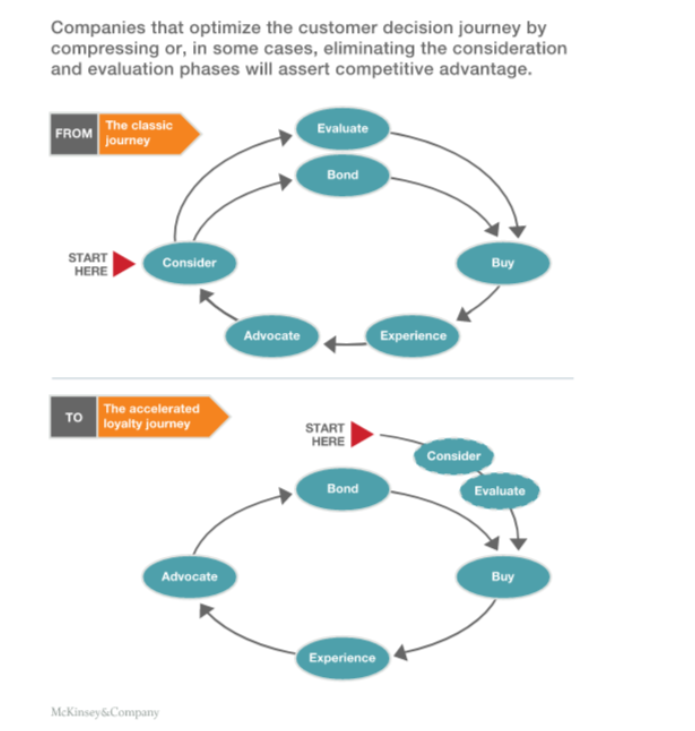 Most of the large management consulting firms (like McKinsey) have invested significantly in some variation of a “customer lifecycle journey” methodology, and these are useful for helping to define the different points of engagement and identifying relevant metrics (for both new and returning customers). The first step for marketing teams is to define their unique customer lifecycle checkpoints – from awareness to engagement and consideration – and install metrics to monitor their relative performance over time (monthly, quarterly, annually, etc.). Subsequently, most organizations require an education process, aimed at non-marketing executives, to generate consensus and buy-in on the measurement strategies. Cost per conversion, or “CPC”, is very much a digital marketing term, but the concept is straightforward and useful in both online and offline activities. The approach requires marketers to determine how much an engagement activity – such as an inbound phone call or watching a video advertisement on a website – cost to generate, and then work towards some performance metric. For example, most companies understand their prospect-to-customer conversion ratios reasonably well, if not specifically then intuitively. A car dealership, for example, might understand that that it needs to generate 10 visitors to the lot to generate one new customer, or 100 visits to its website to generate one email inquiry, and 25 email inquiries are required to get a new customer; and the average new customer generates $30,000 in sales and $6,000 in gross profit margin. With these metrics in mind, the dealership can comfortably spend $250 to generate a lot visitor or $1 to generate a website visit and accommodate its profit variables. Job one is to create the unique model specific to the business, and get a firm handle on the relevant metrics. A B2C company’s measurement strategy will be virtually unrecognizable to a B2B concern, but the general approach – cost modeling measurable actions – will be the same. Even just a handful of relevant ‘conversions’ can help guide a marketing group’s budget allocation in a meaningful way. Most importantly, these metrics allow marketing contributions to be measured vis-a-vis revenues and profitability, which are the most valued metrics by CEOs, CFOs and boards of directors. For better or worse, long gone are the days of marketing operations that were considered in terms of vanity (or not considered at all). With marketing budgets continuing to swell, and rapid digital adoption making quantifiable performance measurement more accessible to companies of all shapes and sizes, senior executives are holding marketing accountable for revenue-generating contributions and ROI. In the long run, marketers will benefit from this evolution, as the quality of their contributions to profits and corporate performance increase, but the short term will continue to be bumpy as expectations get sorted out and responsibilities more clearly defined. Senior marketers can help accelerate this process by embracing core performance metrics and working to continually improve their performance in those specific areas. Tim Bourgeois (@ChiefDigOfficer) is a partner at East Coast Catalyst, a Boston-based digital consulting company specializing in strategic roadmaps, digital media audits, and online marketing optimization programs.